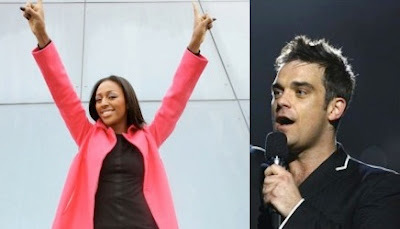 Alexandra Burke had been outselling Robbie Williams all week, so it's really no surprise that "Bad Boys" pipped "Bodies" to #1 on the U.K. singles chart, really. What is surprising—and, perhaps, what Williams' fans should be celebrating—is that the former Take That member has landed his highest-charting single since "Tripping" reached #2 exactly four years ago this month. 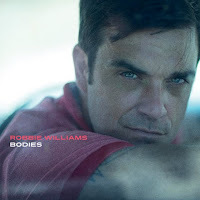 In fact, Robbie hasn't had a #1 single since October 2004's "Radio"—and before that it was his duet with Nicole Kidman, the cover "Something Stupid," back in 2001. So, smile, Robbie Williams fans! Don't toss "Bodies" in the morgue just yet. 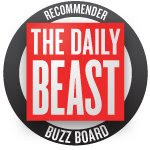 I will say this—it seems like forever ago since "Bodies" first popped up. Sometimes you gotta wonder why these labels just don't throw the singles out while the iron's still hot, you know? Speaking of forever ago, Alexandra Burke first won The X Factor last December, and her cover of "Hallelujah" spent a hookertastic three weeks at #1. Now she's has her second big smasheroo. If only the same could happen for the much maligned Shayne Ward! Finally, while we're still on the subject of forever ago, maybe forever really is over for the Saturdays, as their same-titled single drops from #2 to #8 this week. 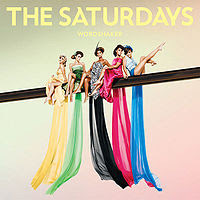 The gals' sophomore LP Wordshaker seems to have arrived in full-on slump, mode, too—it debuts with more of a wobble than a shake, at #9 on the album chart. I'm just hoping Shayne's third album does come out, because it's not looking good at the moment. With little support from Simon Cowell and a very ineffective manager in Louis Walsh it's difficult to see how things can progress. Leona and Alexandra have had a small fortune spent on them so no surprise they have done so well. I agree with your comment about why record companies dont get the music out there sooner. How many times do we wait weeks for a song to be bought - meanwhile something else has come along. Good songs hit the blogs quickly, thats when the heat is there - sell it now I say. Part of the problem is that Alexandra is so new and Robbie is so NOT. Every deserving star gets their moment and Robbie's had his. I don't see how he can achieve that kind of fame again - which is good b/c he seems ill equipped on some levels. Heard him on Music Week talking about how bad his stage fright is, poor guy. Burke is not that great in my view. Her song is not good lacks any musical ability. I think who gets to number one has never been a good judge of music.